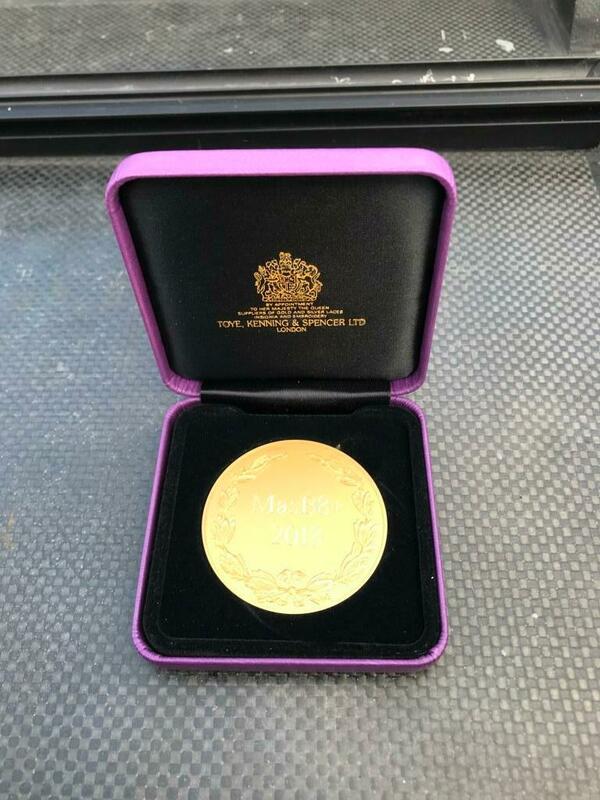 A week after Henley Royal Regatta, and during the Henley Festival, the prestigious Henley Masters Regatta takes place. 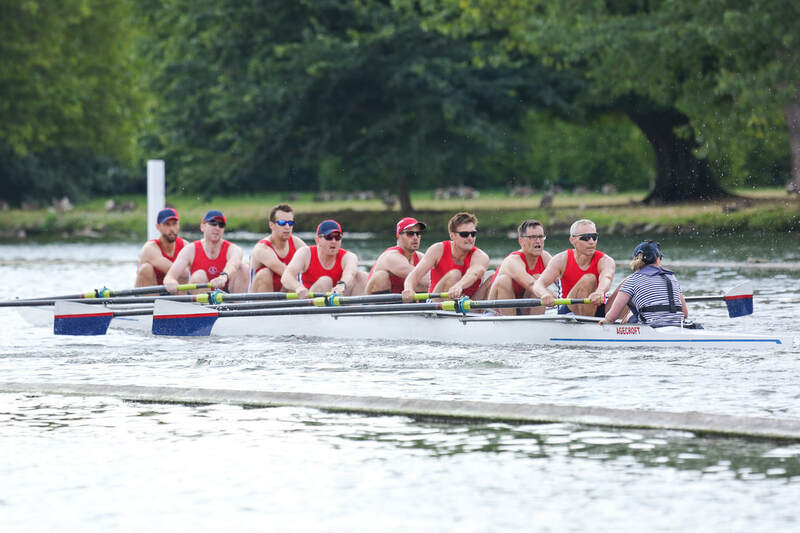 Crews race between the booms from Temple Island over a 1000m course to Remenham over two days, and with a full draw, including many overseas crews, it promised to be an interesting event. 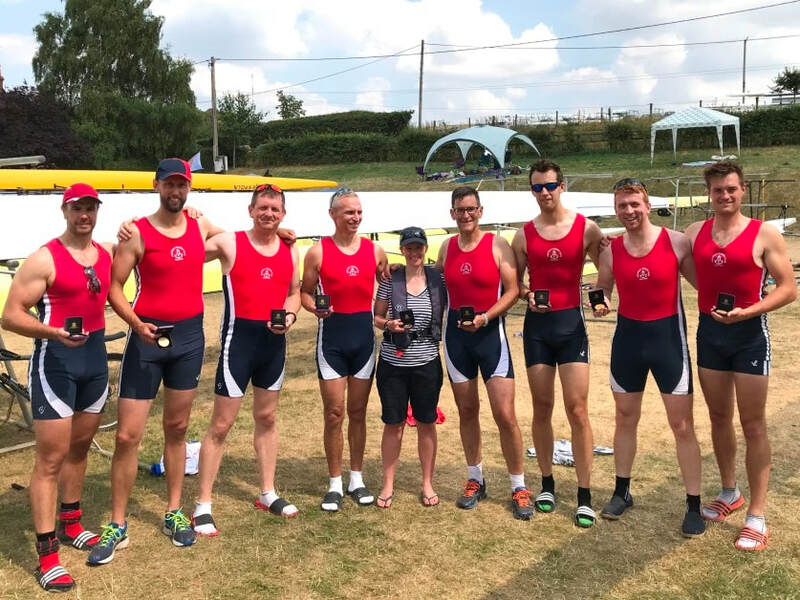 After success last year in the Masters B 4-, Agecroft were able to field a strong Masters B 8+, drawing in a couple of relative youngsters from the men's senior squad to fill in for the regular masters who were unable to join us. The draw for the event was relatively small but high quality. Agecroft drew Marlow in the semi final, whilst Curlew drew Ruder Club "Allemannia von 1866" from Hamburg, Germany. Having raced Curlew at the National Championships, they were a known force, but the Hamburg crew were dominant in their semi final sending the Londoners out in a time of 3:10. The Agecroft vs. Marlow race followed, with Agecroft winning comfortably in a time of 3:12, all of which made for a very interesting final the following day. Finals day was a blistering hot July Saturday, but both crews were clearly on their game, with the very tall German crew spending time with their wonderfully new Empacher, whilst the boys from Salford remained calm in the shade next to their older Filippi. The warm up paddle enabled them to find a strong rhythm in the critical 15 strokes after the start, and they went to the start full of hope. It was England vs. Germany after all, and penalties weren't an option. Agecroft had a strong start, squeezing inches away from Allemannia, until they hit that rhythm that sent the English boat 1/2 length up by the barrier, a clear "bow ball" shout coming from the 4 man. With confidence building, and with plenty of support from the bank, the smaller Agecroft crew had to hold on for 500m for the win. The German crew had other ideas though, with push after push bringing them ever closer, turning the race into a proper battle. In the end the Agecroft boat managed to stay ahead. Just. A verdict of a canvas was given in a time of 3:08, the second fastest race of the whole event. Celebrations and prize presentations for the Salford lads, commiserations to Allemannia. 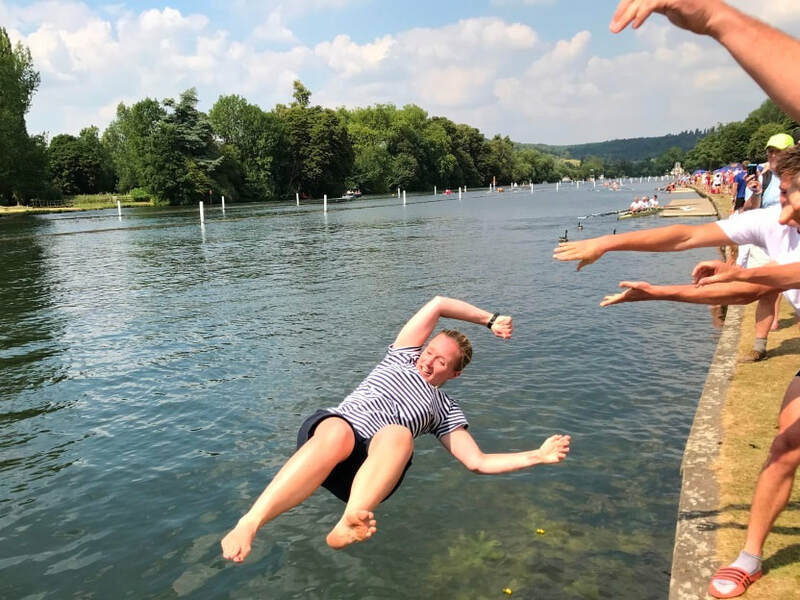 A review of video footage shows just how close it was, but with a 100% success rate at Henley Masters Regatta, Agecroft is building a certain fondness for the excellently run event!